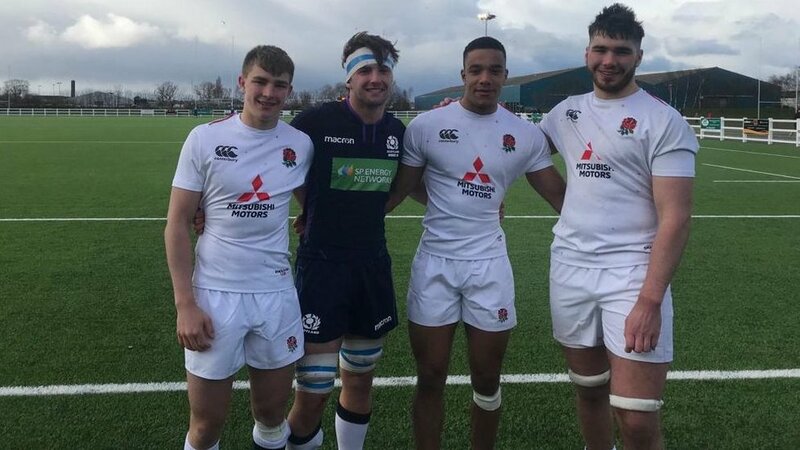 L-R: Jack Van Poortvliet, Ben Muncaster, Joe Browning and George Martin at Billingham RFC after England U18s vs Scotland U18s. 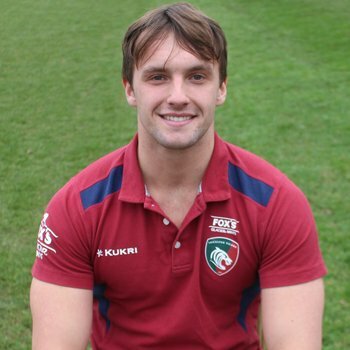 Tigers Academy lock George Martin has captained England U18s to a 36-21 victory over Scotland U18s at Billingham RUFC with fellow Leicester youngsters Joe Browning and Jack Van Poortvliet scoring tries in the 15-point win over a Scottish side featuring their club teammate Ben Muncaster. 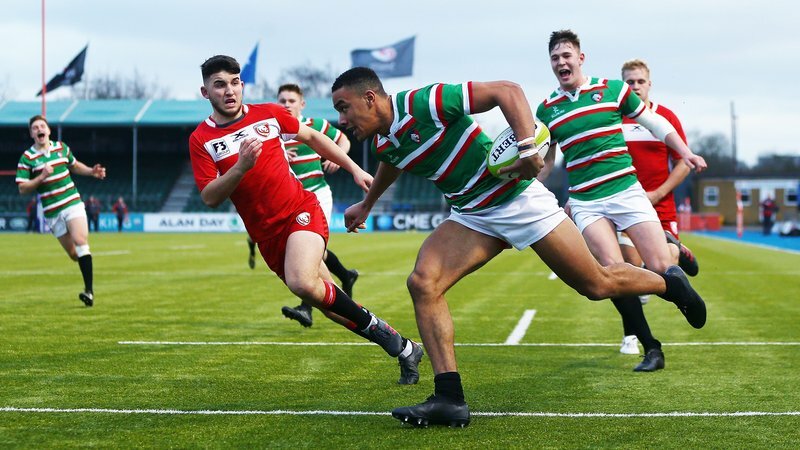 England took a seven-point, 21-14 lead in to the half-time break with Tigers scrum-half Van Poortvliet scoring the first of the afternoon for the home side after he threw a dummy and sniped through the Scottish defence to dive over from close range. 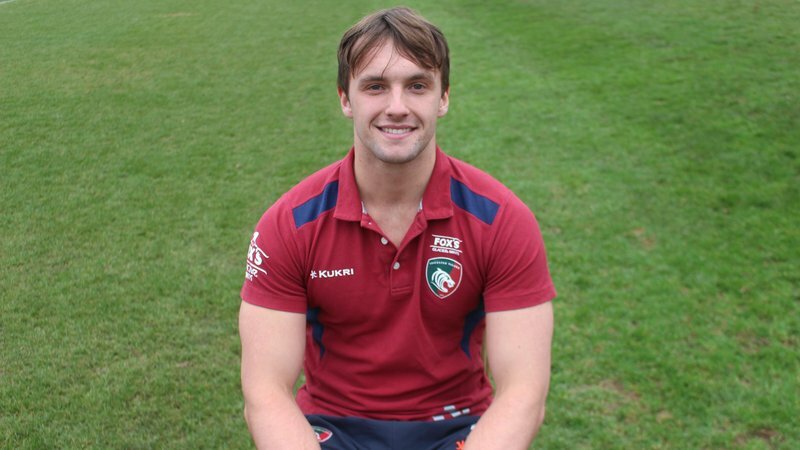 The sides exchanged tries again in the second-half and Leicester winger Browning was the final try-scorer of the match when he dived over in the corner with just four minutes remaining. 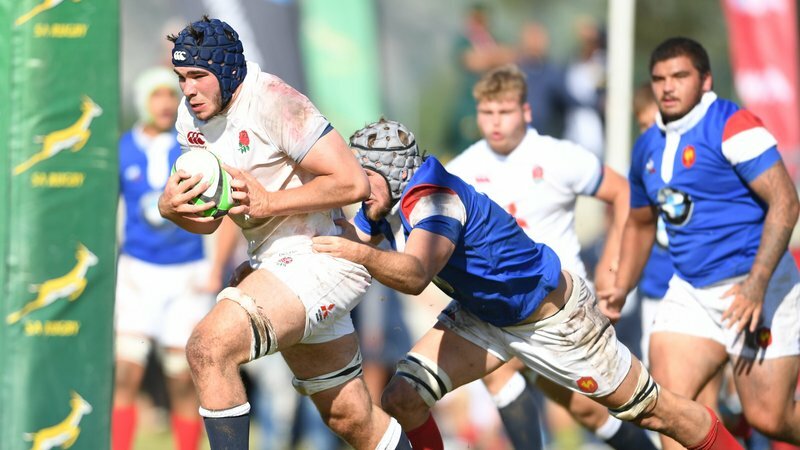 The England U18s host France U18s next Sunday (March 24) at Cheshunt RFC with fellow Tigers Academy members Freddie Steward, James Whitcombe, Tom Manz and Jonny Law vying to play a role like Martin, Browning and Van Poortvliet in the second fixture this month after all seven Leicester youngsters were selected in a 42-man outfit after claiming back to back U18 League title wins in February.